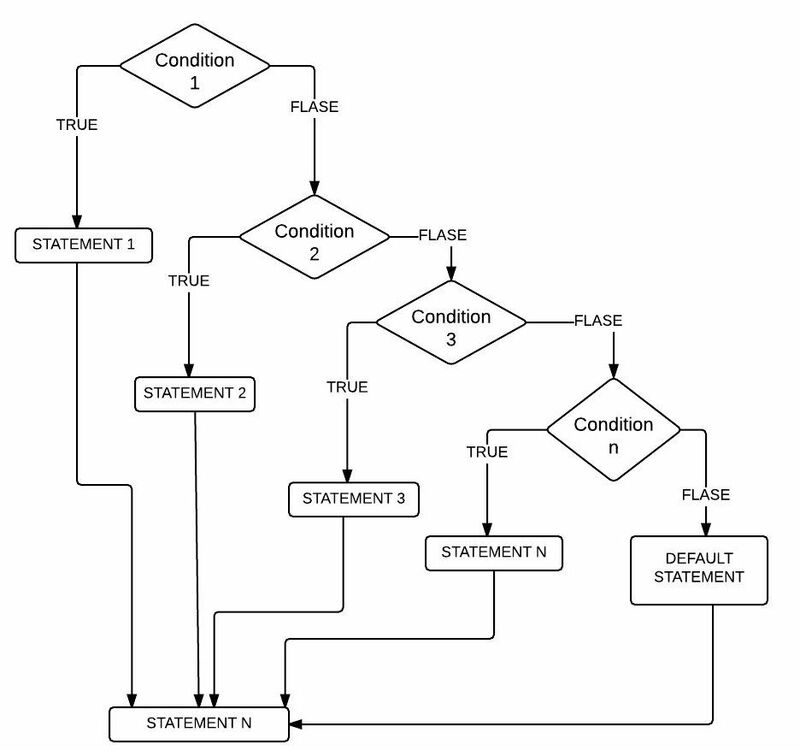 Else If statement in C handles multiple statements effectively by executing them sequentially. It will check for the first condition, if the condition is TRUE then it will execute the statements present in that block. If the condition is FALSE then it will check the Next one (Else If condition) and so on. OUTPUT 2: This is to demonstrate the C Else IF statement. We are going to enter Totalmarks = 490 means first IF condition is FALSE. 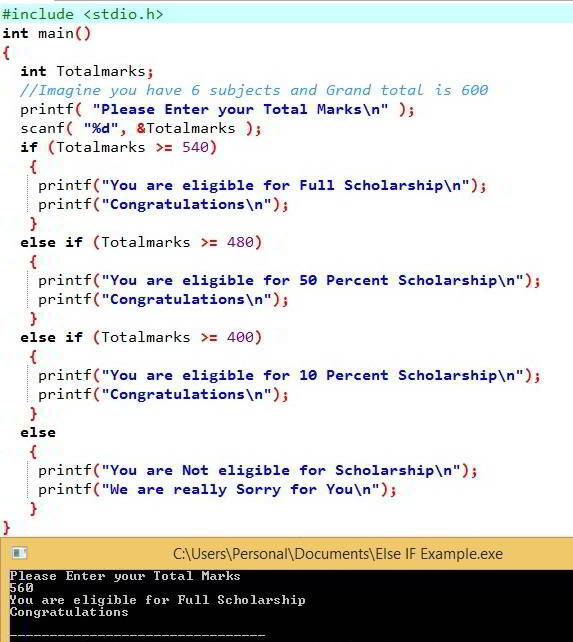 It will check the else if (Totalmarks >= 480), which is TRUE so it will print the statements inside this block. Although else if (Totalmarks >= 400) condition is TRUE, but it won’t check this condition. OUTPUT 3: This time we are entering the Total marks as 401 means first IF condition, else if (Totalmarks >= 480) are FALSE. So, It will check the else if (Totalmarks >= 401), which is TRUE so it will print the statements inside this block. OUTPUT 4: Let me enter Total marks = 380 means all the IF conditions Fail. So, It will print the statements inside the else block.